Will Sunday finally be the first time since last year’s Duel In Detroit, for a fence climb during a Verizon IndyCar Series post race? It may well be that way for Team Penske’s Helio Castroneves, who after coming up short this past May yet again in his quest to become a four-time Indianapolis 500 champion, will have another chance to claim a victory in a 500-mile event after winning the pole position for Sunday’s ABC Supply 500 at Pocono Raceway, with a two lap average speed of 220.530 MPH. Castroneves and Team Penske were on target for most of Saturday’s session, placing cars in the top three positions with this year’s Indy 500 runner-up Will Power lining up alongside Castroneves on the front line, and Simon Pagenaud starting directly behind them on the inside of row number two. The Brazilian veteran was one of five drivers to post a two-lap average speed in excess of 220 MPH, a tough feat on the difficult 2.5 mile triangular oval, which features three corners with different turn banking and three straightaways of varying lengths. 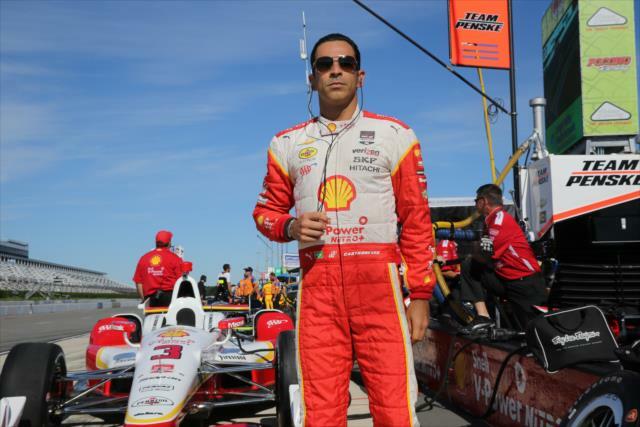 The 220.5 MPH average posted by Castroneves however, did not feature the fastest lap in qualifying. That honor went to CFH Racing’s Josef Newgarden, who posted a 220.655 MPH effort on his second of two laps, but when coupled with a 219 MPH pass on lap one, was only good enough to lineup fourth for Sunday. 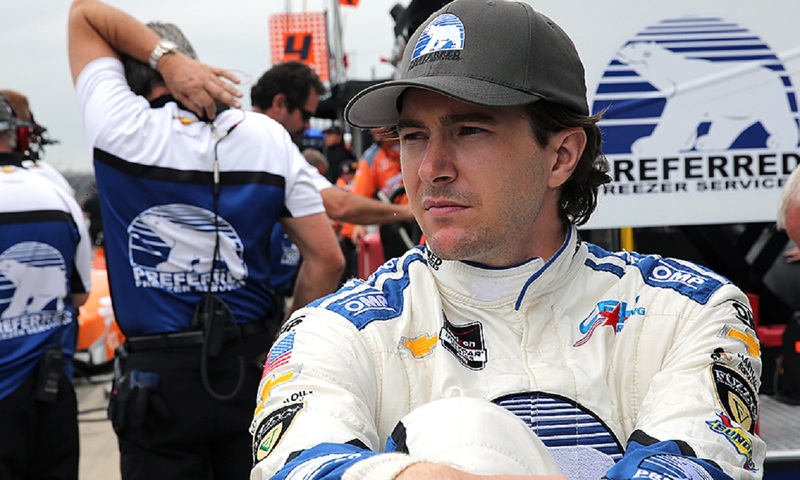 As was the case during qualifying for the 99th Indianapolis 500, Chevrolet horsepower and aero kit running cars were at the head of the field after the Saturday session concluded. Also mimicking those Indy results, was the fact that Team Penske’s fourth driver Juan Pablo Montoya was not among them the top runners. After qualifying a disappointing 15th at Indy, Montoya’s car stumbled in turn one on the first of his two qualifying laps on Saturday, and as a result he will start 19th at Pocono among the 24 scheduled to take the green flag. 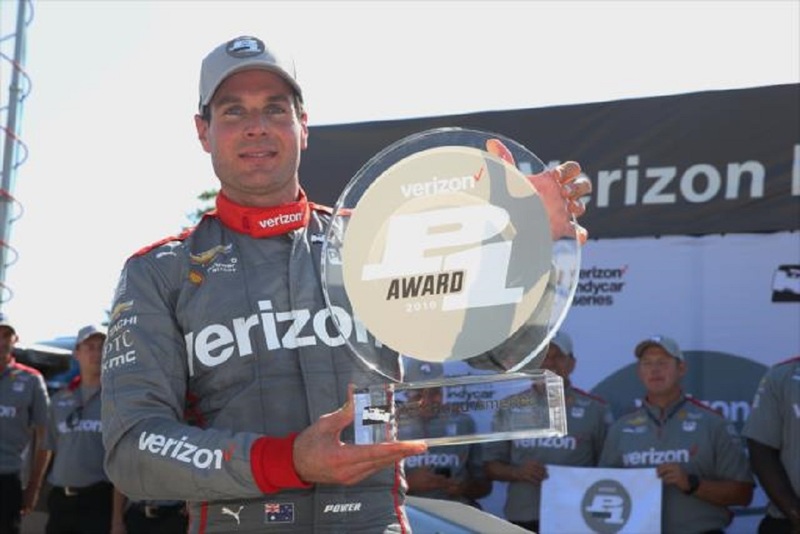 The question now is can the current Verizon IndyCar Series points leader backup the result from the race at Indy in May, when he charged early and in the end out-dueled both his teammate Power and Scott Dixon to earn his second victory in the Greatest Spectacle in Racing. As for the current title picture, the news is not good for either Montoya or Chip Ganassi Racing’s Dixon. 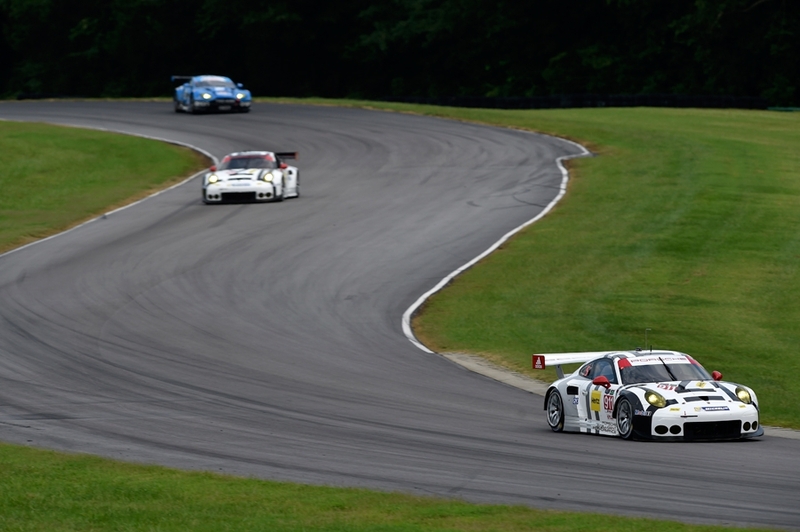 The New Zealander, who won at Pocono in 2013 qualified only 11th on Saturday as he was unable to post an average over 219 MPH. The big winner so far in Pennsylvania is Montoya’s closest pursuer Graham Rahal. The Rahal Letterman Lanigan Racing driver, put his No. 15 Steak & Shake Restaurants Honda fifth on the grid, representing the only Honda-powered driver in the top five of the starting grid and the only one to post an average in the 220 MPH bracket. Coming off a win two weeks ago at the Mid-Ohio Sports Car Course, plus a win at Auto Club Speedway in the second leg of IndyCar’s Triple Crown of 500-mile races, Rahal enters Sunday just nine points behind Montoya in the race for the championship, with only the double points finale at Sonoma Raceway in California remaining after the twin checkered flags fly at Pocono. While drivers such as Montoya and Marco Andretti, who qualified 22nd on Saturday, struggled with handling during qualifying, even they did not suffer the consequences that Chip Ganassi Racing’s Charlie Kimball dealt with. 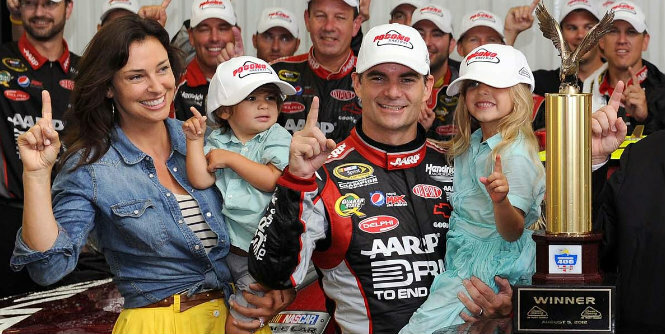 After posting the fastest practice lap at Pocono on Friday, the No. 83 Novo Nordisk Chevrolet driver, lost control of his machine in the flat turn three section of the course during his opening qualifying pass and made hard contact with both the SAFER barrier and the catch fence. Kimball walked away from the crash, but the incident led to a forty-minute delay of qualifications as both the protective blocks in the barrier and a large section of the catch fence itself had to be replaced. In addition to Kimball, KV Racing Technology’s Stefano Coletti crashed during practice on Saturday morning and will also start at the back of the field Sunday after the team was unable to repair his car in time for qualifying. 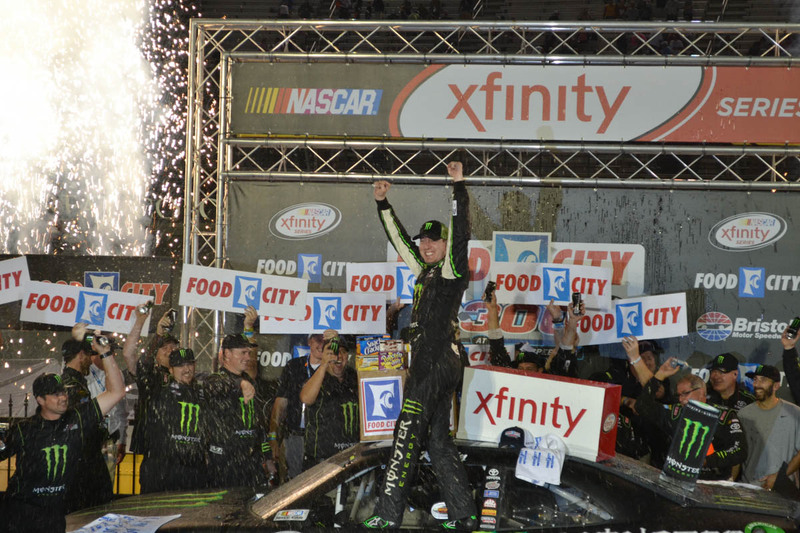 Stay tuned to OnPitRoad.com for a full recap of Sunday’s ABC Supply 500 at Pocono.